Just checking in to say I haven’t given up on blogging. I’ve been doing a bit of traveling lately: three weeks in Hawaii, a weekend in Willits (3 hours north of San Francisco) for an ayahuasca ceremony, and soon a 10-day excursion to Black Rock City for the Burning Man festival. 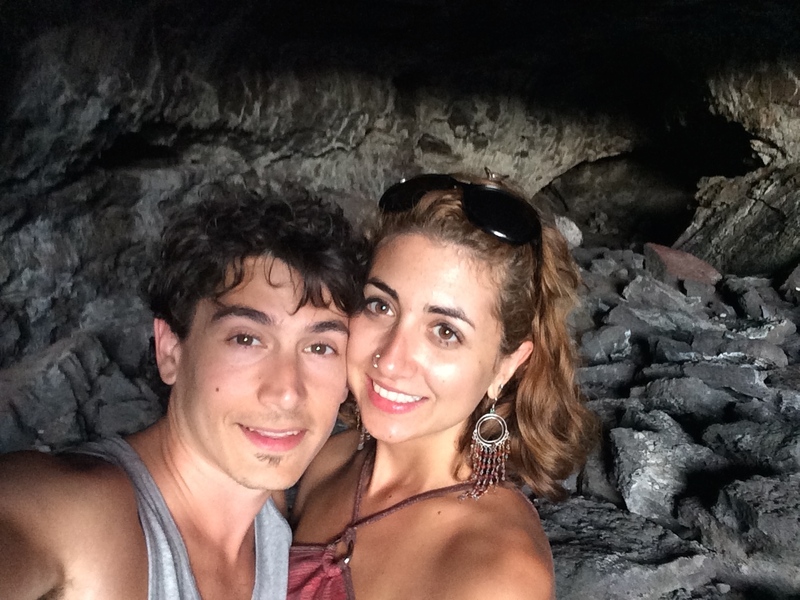 Becca and me inside a lava tube on the Big Island of Hawaii. I’ll be back in action making regular posts in September. For now I have to double down on my dissertation research, on top of recording the remaining lectures for my online undergraduate course “Mind and Nature in German Idealism” (contracted with the University of Philosophical Research), and continuing to shape my track at the 2015 International Whitehead Conference. In other news, a version of my paper on psychedelics, religious studies, and participatory theory should be published next month in The Journal of Transpersonal Research. My contribution on Ralph Waldo Emerson to Param Media’s anthology The Beacon of Mind is in its final editing stages with the publisher. Finally, a poem of mine, written in tribute to Walt Whitman, was recently published by the magazine Sufism: An Inquiry. Great to see I didn’t stop the music with my last comment, Matt. You’re an extraordinary fellow, don’t let the bozo’s get to you. ‘LSD is a psychedelic drug which occasionally causes psychotic behavior in people who have NOT taken it.’ –Timothy Leary Talking about you know what… But do beware, it’s more than occasional these days.